When brands think about reaching Hispanic audiences in the United States, they often consider which language to advertise in or which aspect of their rich culture to highlight. While there is no question that this is invaluable for any advertising push aimed at U.S. Hispanics, there’s another facet that brands also need to examine, i.e., the platforms actively used by this audience. With more than 700,000 open cases as of May, judges face a heavy case load. To alleviate the burden, two retired federal judges have proposed a solution: bring jurists like them back to the bench. The Hispanic homeownership rate also fell from 48.4% in the first quarter to 46.6% in the second quarter. However, this is still up from 45.5% in the second quarter of 2017. In a fact sheet released this week, Pew looks at how “news media made by and for the two largest racial/ethnic minority groups in the United States — blacks and Hispanics” is performing and finds that, as with news media in general, audiences are shrinking. From strip malls to historic downtown landmarks, buildings across Appalachia today are telling stories of a changing region. Former nail salons, once-stately banks and empty storefronts are beginning fresh chapters in their lifecycle as Hispanic groceries, Mexican restaurants and Latinx-operated small businesses. THE Claremont Colleges plans to open a medical school, the fourth new campus designed to produce physicians for parts of Southern California struggling with shortages. The Keck Graduate Institute School of Medicine will focus on primary care and treating the growing Latino population in California, institute officials announced this week. The school hopes to hire its founding dean by next summer, and open a few years after that. As part of a larger effort to reach the Hispanic voting population, Charleston County Democrats have launched a new Spanish website. The page, charlestondemocrats.com/espanol, is not a Spanish version of the local party’s current website but is more specific. Philadelphia will stop giving U.S. Immigration and Customs Enforcement access to a real-time arrest database, saying the agency is misusing the information to conduct sweeps in which otherwise law-abiding immigrants are also being caught up. Federal officials said the decision puts U.S. citizens in danger. Despite a new set of guidelines and procedures that tighten U.S. immigration policies and expand the possibility of deportations of legal residents, the U.S. government is offering to help lawful permanent residents who apply for citizenship. The U.S. Citizenship and Immigration Services (USCIS) announced this week it will use funds collected through fees paid to the service to subsidize citizenship preparation programs across the country under the Citizenship and Assimilation Grant Program. Documents obtained by The Nation show the girl was abused at the Casa Glendale facility near Phoenix, Arizona, by an older child being held there. She was then made to sign a form that said she would keep her distance from her abuser. Houstonians took to the streets SAturday for a call to action. They’re demanding local GOP Leaders and the Trump administration to unite immigrant families who are still separated. Texas state senator Sylvia Garcia and other immigrant organizations teamed up at Settegast Park and marched to a proposed facility at 419 Emancipation where kids separated from their parents could be housed. At a time when President Donald Trump and other conservatives are repeatedly calling on people to come here legally, most immigrants have few options to do so under the country’s complex immigration system. Visas are hard to come by, especially for immigrants struggling with poverty and joblessness in Central America. The other main option for legal immigration — getting a family member who is an American citizen or green card holder to sponsor them — can take more than a decade. Twenty-eight members of Congress, including six members of the Congressional Black Caucus, were falsely identified as suspects charged with a crime on Amazon’s facial recognition technology, according to a test conductedby the American Civil Liberties Union. The test results of Amazon Rekognition, released Thursday, revealed that most of the politicians misidentified by the technology were black and Latino, including U.S. Rep. John Lewis. For years, Congress has failed to take one simple step which could have prevented the family separations we now decry: repealing the Flores v. Reno consent decree as it relates to families. When the U.S. government first entered into the Flores consent decree it was a much-needed step towards ensuring the humane and dignified treatment of unaccompanied alien children — children often thousands of miles from their parents. That decree required immigration authorities to release children from custody within 20 days in favor of finding foster families or other placements. But in 2015, a single court in California expanded Flores to children with their families, an expansion with dramatic consequences. David Garcia is standing in the Democratic primaries for Arizona’s upcoming gubernatorial race, refusing corporate money, and betting that he can overcome the plutocratic de facto rulers of the state and their well-funded water-carriers in the state government by campaigning for progressive policies, rather than against the state’s (admittedly deplorable) Republicans. The majority of likely voters from congressional districts that are considered battlegrounds oppose the Trump administration’s immigration policies, according to a new national survey. Nearly 75 percent surveyed indicated they are angry about the separations of children from their parents seeking asylum at the border with Mexico. In 2008, Barack Obama held up change as a beacon, attaching to it another word, a word that channeled everything his young and diverse coalition saw in his rise and their newfound political power: hope. An America that would elect a black man president was an America in which a future was being written that would read thrillingly different from our past. In 2016, Donald Trump wielded that same sense of change as a threat; he was the revanchist voice of those who yearned to make America the way it was before, to make it great again. For six days after being detained and separated from their mother at the border, Franklin, an 11-year-old Honduran boy, and his 7-year-old brother Byron slept very little and were constantly cold as they huddled under foil-sheet blankets. “They would wake us up at 3 in the morning and we were so tired,” he said, adding that he didn’t know why they would wake all the children up. The ham they gave the children was cold and raw, he said. Black and Hispanic adults who graduate college owing money on student loans have significantly lower net worth at age 30 than students who don’t borrow to pay for college, a new study suggests. More than one-fourth of Hispanic adults said they believe it would be very or moderately difficult for older Latinos in their area to find an assisted living community where their language is spoken by staff members, according to results of the survey from the Associated Press-NORC Center for Public Affairs Research. 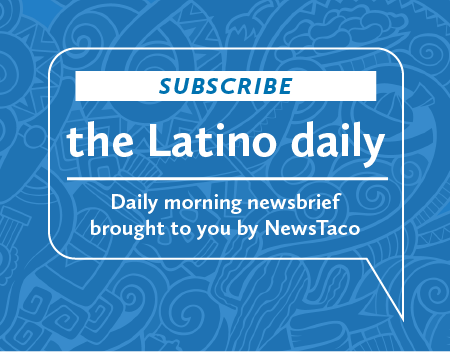 Latinas have increasingly become bread-winners and decision makers in their household. It is worth taking into account certain characteristics of Latinas, as marketers can learn a lot about how to approach them depending on how they see life. Research shows that acculturation level (the extent to which they have adopted American customs and the English language) influences Latinas’ attitudes and life perspectives a great deal, which is why brands should take that into account when addressing Hispanics, and Latino women in particular.